The new GMK3060L features a 157.5 ft (48 m) boom and significantly stronger load charts. It will be available in both Tier 3/ Euromot III and Tier 4 Final/ Euromot V engine emission standards. Andreas Cremer, Manitowoc's global product director for all terrain cranes, said: "We launched the GMK3060 at bauma 2013, and it has been a great success for us. The new GMK3060L takes that crane and makes it even better by providing a longer boom, stronger load charts, fast operating speeds and a powerful yet more environmentally friendly engine." The GMK3060L was developed in accordance with The Manitowoc Way and is a result of Voice of the Customer feedback, a methodology whereby cranes are built in accordance with customers' needs and wants. It features Manitowoc's Crane Control System (CCS), as well as a boom configurator feature. This enables operators to input basic lift parameters, such as load, radius and load height, and the system automatically provides optimal boom options for performing the lift. This saves time at the job site and makes the setup process much easier. Like all GMK cranes with CCS, the GMK3060L will also feature the MAXbase option for variable outrigger settings and increase load charts in certain working ranges. 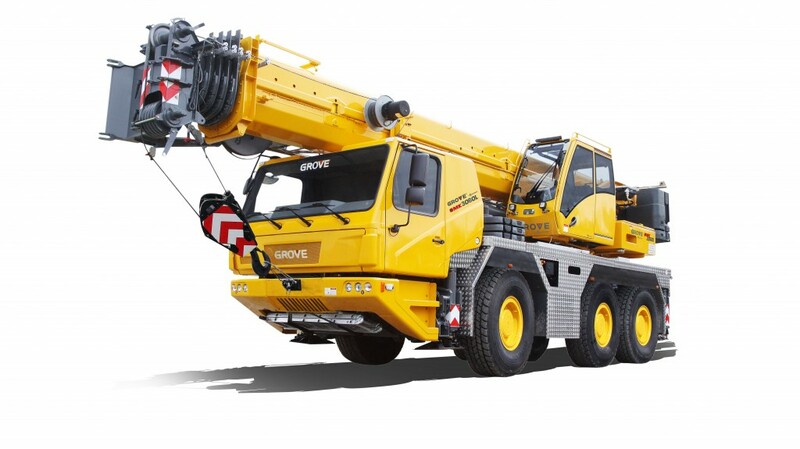 The new three-axle all-terrain crane will be debuted at the Manitowoc stand at bauma 2019 in Munich, taking place from 8-14 April 2019 at the Messe München in Munich, Germany.